If you’re looking for a Dole Whip float at the Magic Kingdom, you’ll need to walk a bit farther into Adventureland to find it. 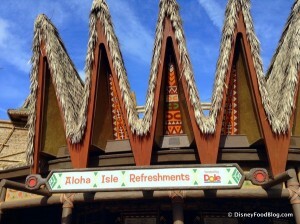 Aloha Isle has swapped locations with the Sunshine Tree Terrace. This means that Aloha Isle is now located just behind Magic Carpets of Aladdin in Adventureland in a bigger chunk of real estate than before. And the Sunshine Tree Terrace is now located near the Swiss Family Robinson Treehouse just over the bridge into Adventureland. 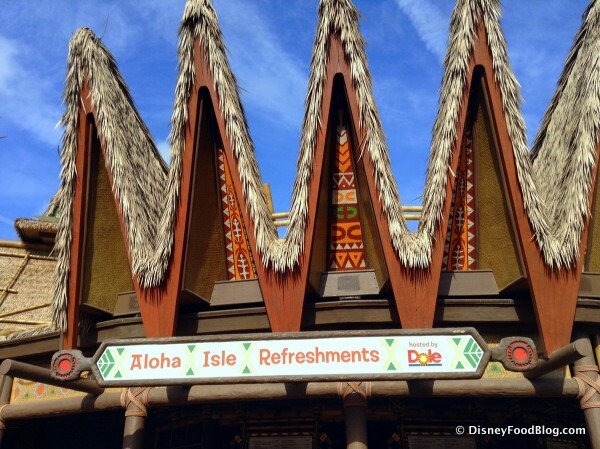 Both locations have kept their menus – you can still get Dole Whip at Aloha Isle and you’ll still find the Citrus Swirl at Sunshine Tree Terrace. The Orange Bird is reportedly making his way back to the Sunshine Tree Terrace, so keep your eyes peeled for that! If you want to see more photos from the restaurant switch check out the post over at the Disney Food Blog!